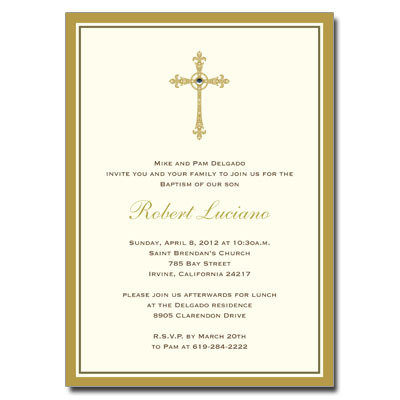 This elegant invitation is printed in rich hues of gold and chocolate brown on ecru card stock, featuring a gold filigree cross, embellished with a sparkling jewel. Comes with matching ecru envelopes. Assembly is required. Card measures 5x7.